Nintendo just added fortune cookies to Animal Crossing: Pocket Camp—what are they? Animal Crossing: Pocket Camp got a new update that adds new stuff for players to buy, including fortune cookies. What are fortune cookies? Essentially, they're loot boxes. Players can earn fortune cookies through log-in goals, but they'll mostly have to be bought with bells or Leaf Tickets. There are two different kinds of fortune cookies, standard fortune cookies and character fortune cookies. Pocket Camp players can earn furniture and clothes from standard fortune cookies, just like with the character fortune cookies. There are three character fortune cookies right now, all of which are only available until June 15. 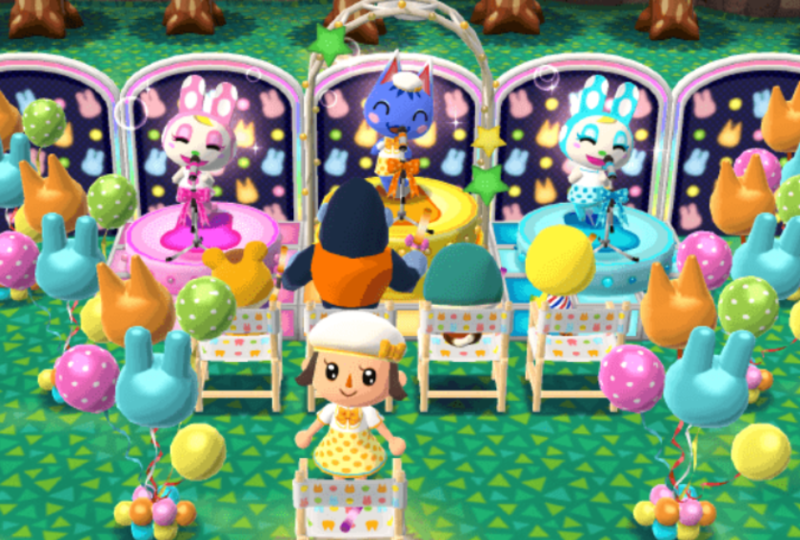 Each of the three character fortune cookies has the potential to drop special items associated with the animals involved. The featured item for Marshal's is a pastry-shop kitchen, while Rosie's could give a yellow pop-star stage and Filbert's could earn a rocket launchpad. There are 30 items in total for the three special fortune cookies. There are currently three standard fortune cookies. How do you buy fortune cookies? The fortune cookie stand can be found at the Pocket Camp marketplace. To purchase fortune cookies, head over there on the map. Talk to Tommy and tap "I want to order a cookie." Players can order cookies using Bells or Leaf Tickets. Confirm the order by clicking "Let's do it!" to open the cookie. A fortune will be revealed on screen, followed by the item or clothing earned. Each time you buy a fortune cookie with Leaf Tickets, it'll be recorded on a frequent buyer Stamp Card. Ten stamps fill out one card, then can be exchanged for items from Tommy. Players can get special items from events this way. Where are my fortune cookies? If you earned fortune cookies from log-in bonuses or as rewards, you'll need to swipe through Pocket Camp's menus to find them; they won't be opened automatically like when you buy them. You'll find the fortune cookies by navigating to the "Items" menu on the bottom left-hand corner. Click the "More" tab, which is three horizontal dots. Click the fortune cookie icon and select the fortune cookie you want to use. Select "Eat it" to open the cookie and get the prize.